Social media tools have a core role to play in engaging an internal audience and can serve as platforms for both one-way communication or as more interactive platforms. Many organisations use social tools to deliver company information in a broadcast fashion, whether by way of update services such as Yammer or Twitter or via internal blogs – and these are very effective when employees are based across multi-sites, at home or on the road as they can make them feel part of a wider whole. Nonetheless, one way communication is best used for authoritative messages – those that don’t require, or want, a response – such as an announcement from the CEO. And whereas those messages could previously have been disseminated in a variety of ways, social media’s advantage is that it offers companies opportunities to enter into dialogue with staff, and with each other, in a way that hasn’t previously existed for larger organisations. 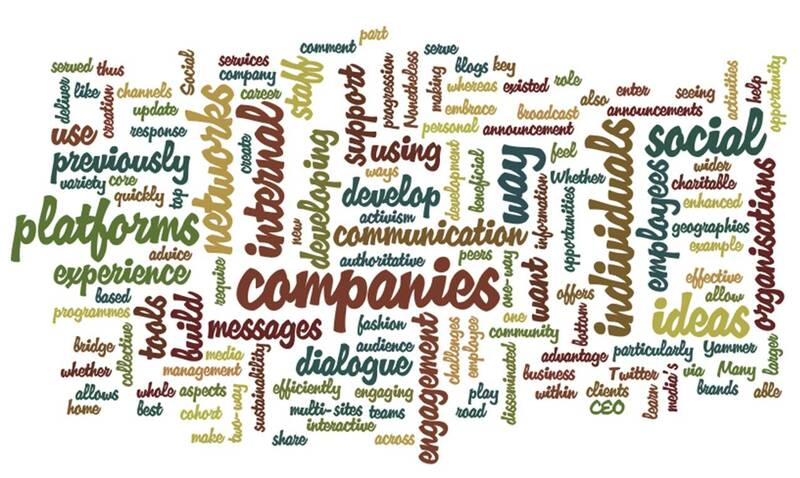 Whether companies want to embrace the opportunity for employees to comment on the announcements from top management or not, two-way dialogue is particularly beneficial in developing new ideas from the bottom up and companies are making use of these channels for employee activism – such as for developing ideas on sustainability or charitable activities that create engagement. But we’re also seeing more and more organisations using social networks in support of development programmes, for example – networks which allow individuals within a cohort to share ideas, challenges and advice with their peers as they all develop through the business. This community creation allows individuals to learn from the collective experience and thus develop all the more quickly. By using platforms like these to support staff, companies are able to build internal networks that bridge teams and geographies more efficiently, and help individuals to build their experience and their personal brands – both key aspects to enhanced engagement and career progression.